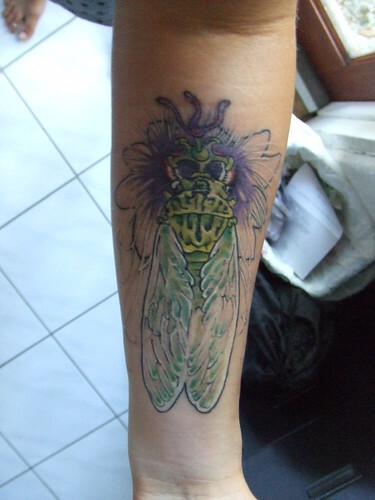 Cicadas are cool, and tattoos can be pretty cool too. 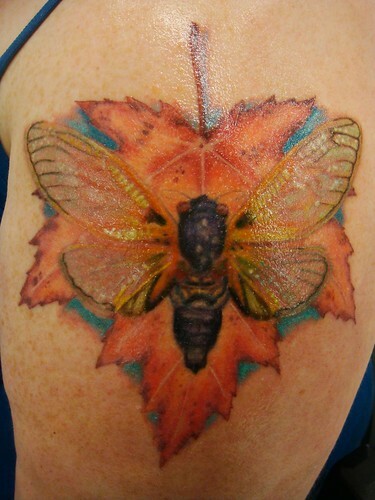 Take a took at Sandy Herder’s new cicada tattoo. Awesome. 3-22-2009-1, originally uploaded by Kate loves vee dubs. Take a look at Kate’s Magicicada tattoo. It is fantastic! Stll oozy, originally uploaded by Crystal Pistil. Looks like a Neocicada hieroglyphica.